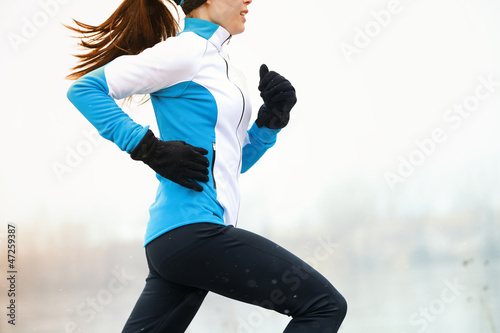 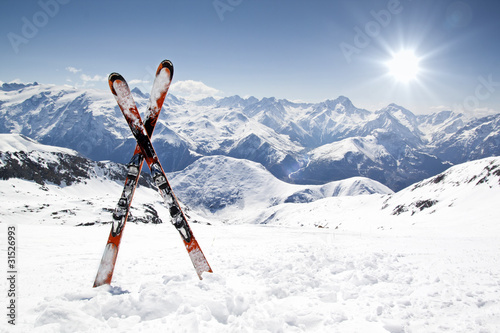 Winter time in Alps and free space for your text. 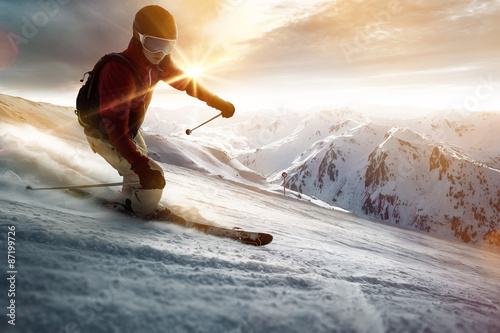 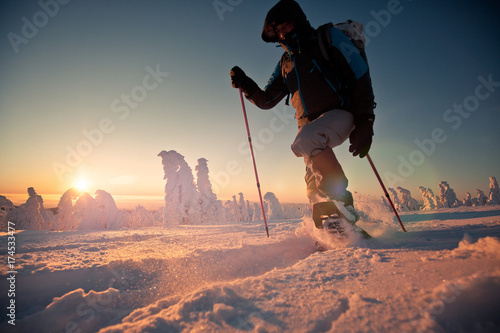 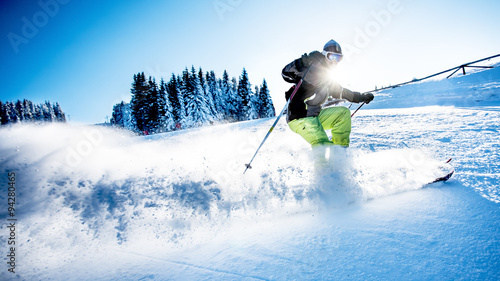 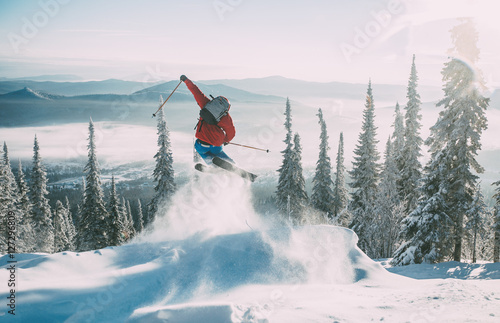 Man skiing on the prepared slope with fresh new powder snow. 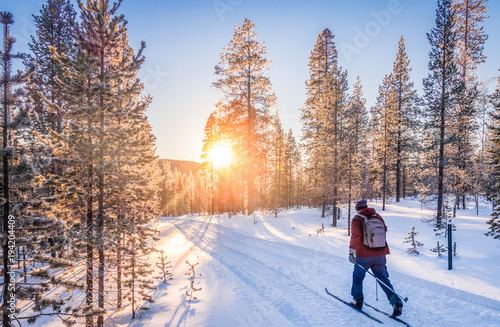 Winter hiking. 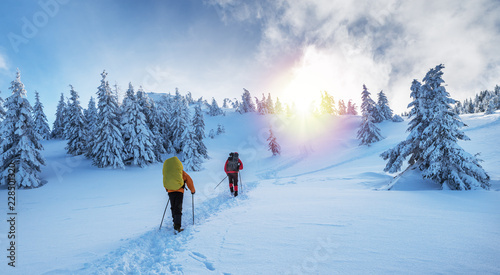 Tourists are hiking in the snow-covered mountains. 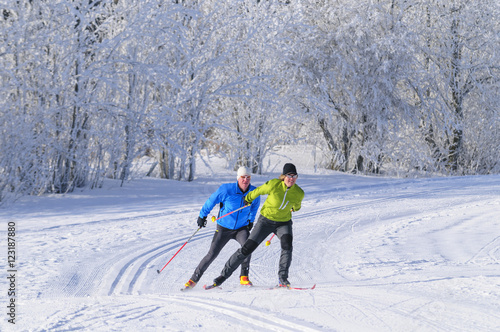 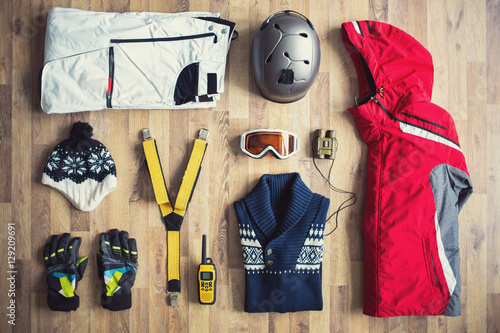 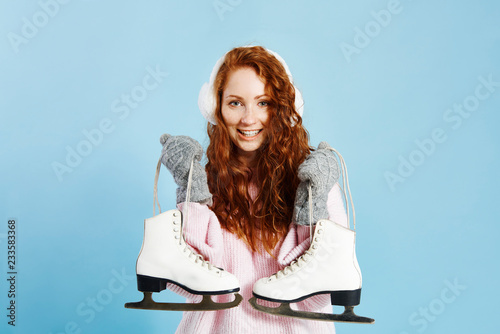 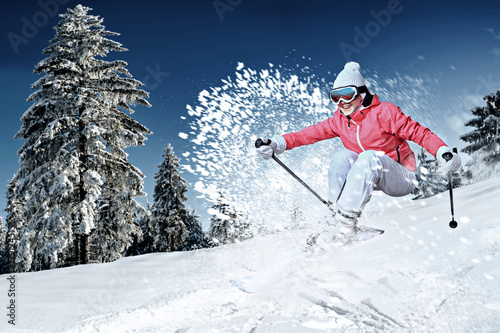 Ski and snow winter fun for kids. 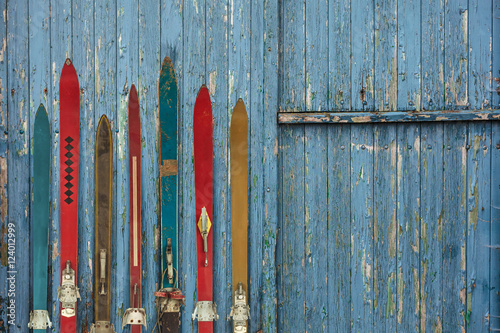 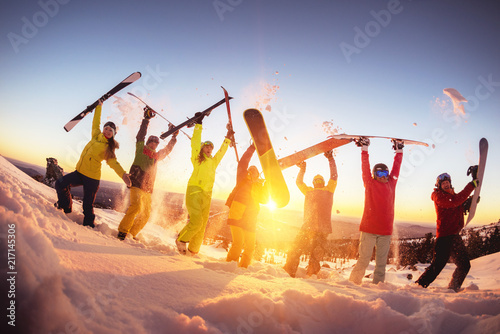 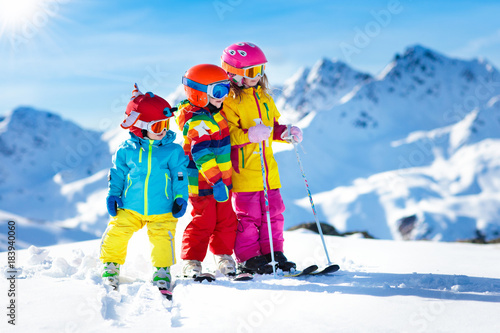 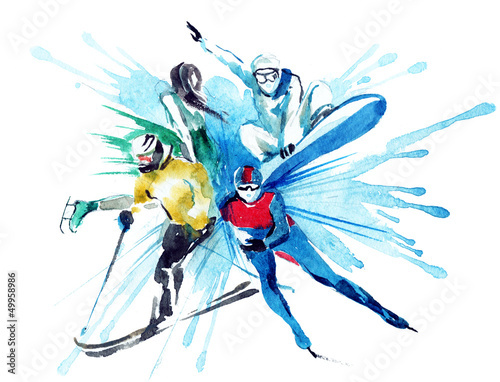 Children skiing. 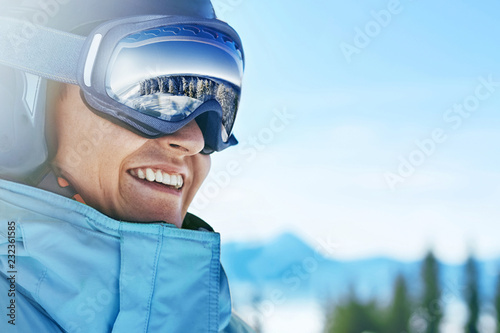 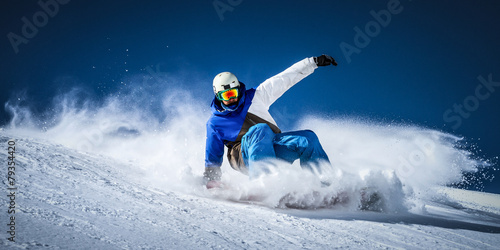 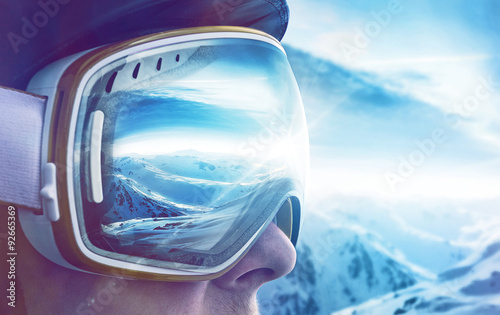 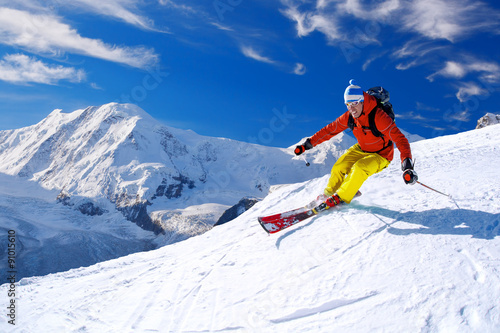 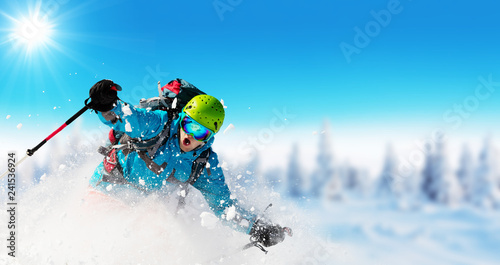 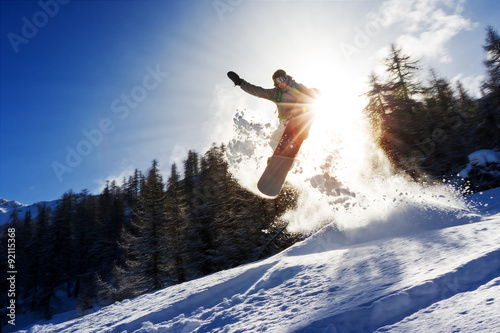 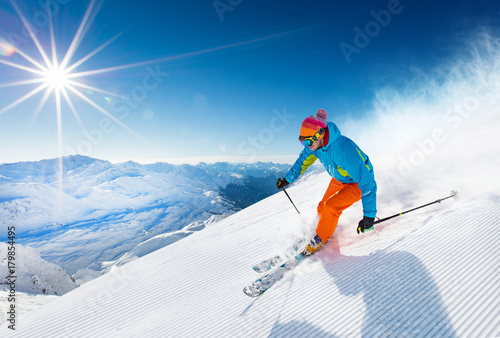 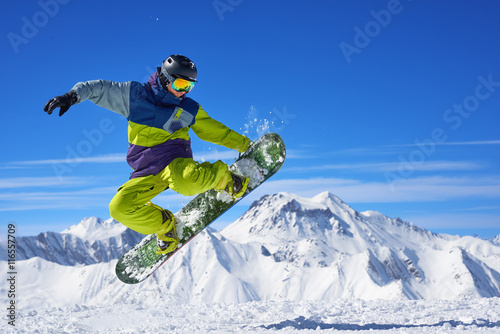 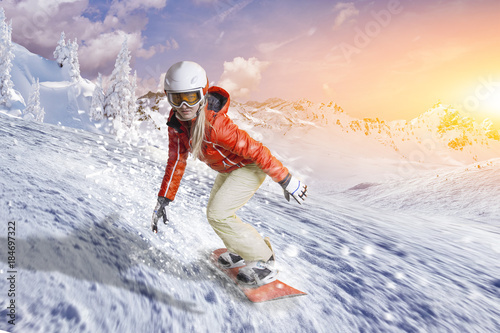 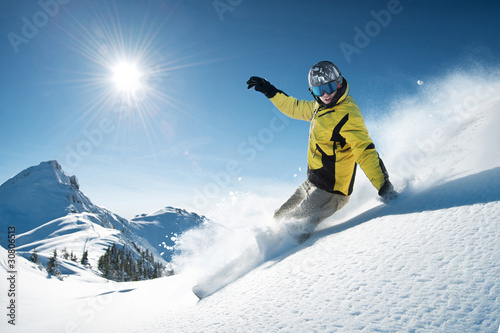 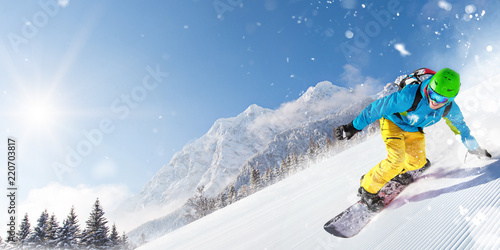 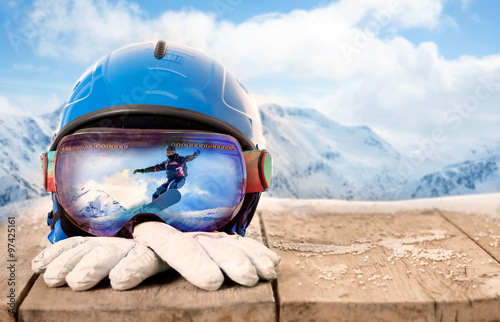 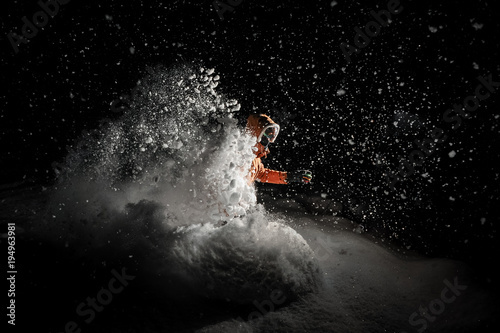 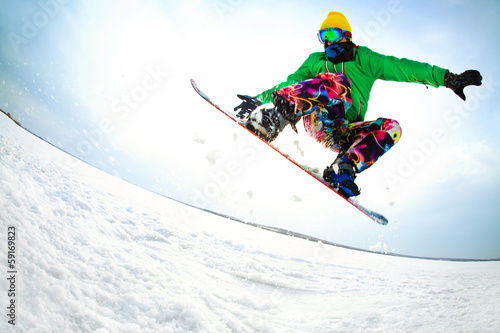 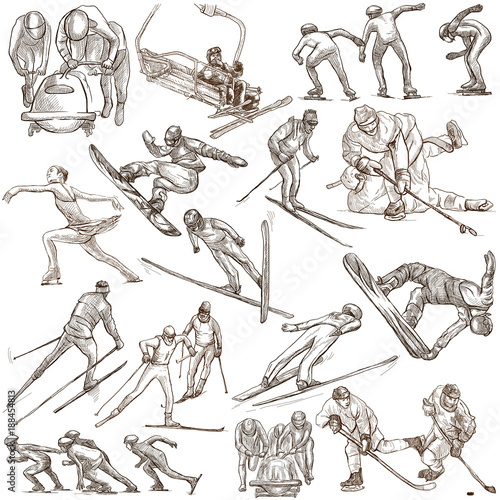 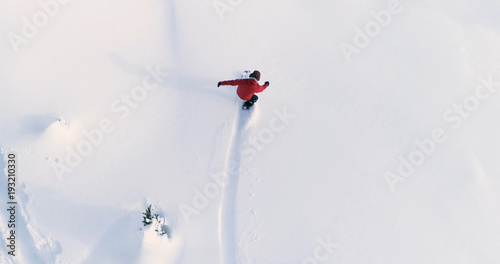 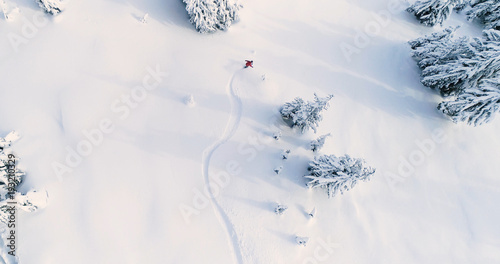 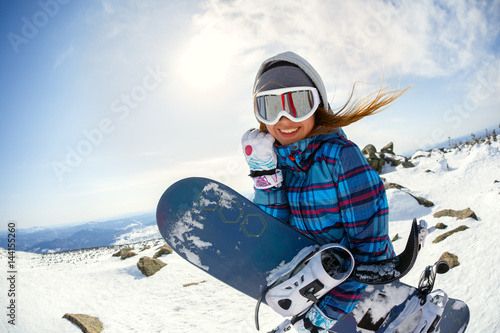 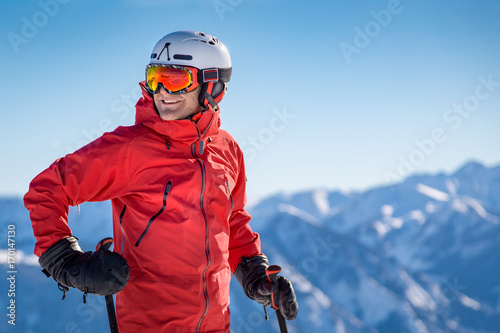 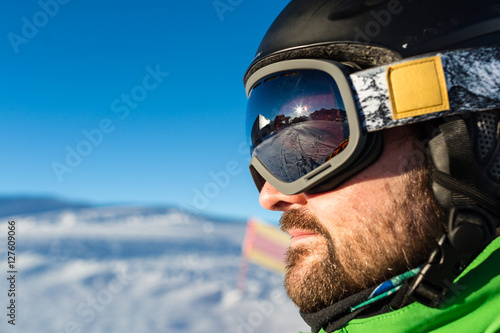 Man snowboarder riding on slope.